Chickweeds are low, inconspicuous plants that form mats along the ground. They belong to the family Caryophyllaceae. The flowers resemble tiny carnations, and the species are related. Chickweeds are named as such because chickens love to eat them. Chickweeds are edible and can be eaten raw or cooked. Chickweeds have the tiny oval leaves that grow in pairs. The stems are fine and delicate, with a line of fine white hairs along one side. Flowers are tiny with five petals and white in color, they are so deeply cleft that they look like ten petals help distinguish chickweed from other plants. Chickweeds are commonly found on disturbed soils such as roadsides, shingle riverbanks, coastal cliffs and in gardens. It can thrive on any soil types but grow best on lighter soils. 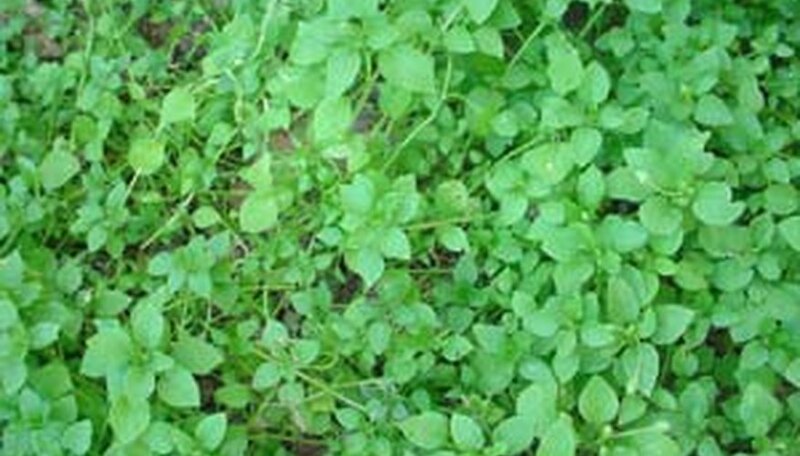 The alkaline type soils can favor the chickweed's growth. It is absent from the most acidic soils. Chickweeds love soils that are cultivated or disturbed, when the land is not cultivated for a long time, they will cease to grow. Drought conditions would cause chickweeds to wilt and dry. So, ideally, chickweeds would survive better on cool wet conditions. 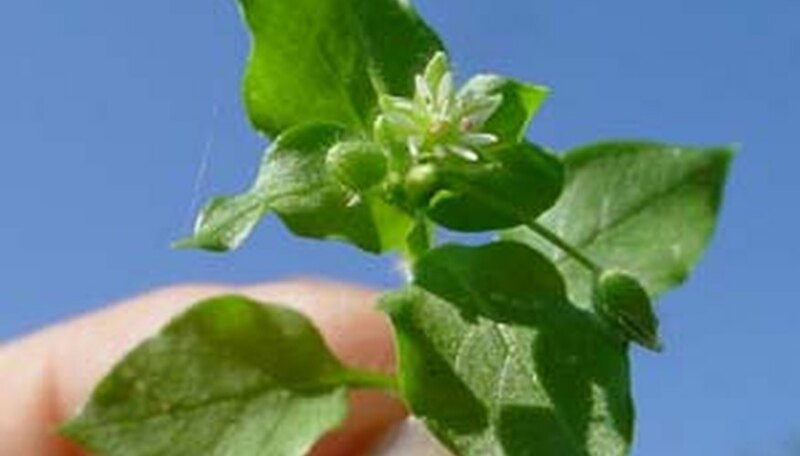 Chickweed flowers are normally self-pollinated, but can also be insect-pollinated. They are known to flower and set seeds all throughout the year but particularly in spring and autumn. Chickweed is able to grow at relatively low temperatures, germination can occur between 2 degrees C and 30 degrees C, with an optimum temperature growth of 15 degrees C. The seedlings can survive all but the severest frosts. Complete Burial Method: The most effective treatment to control the chickweed population is by complete burial method. Burying seeds deep under the ground will prevent further growth and spread. Mechanical Method: Tilling is effective in suppressing chickweed growth. Repeated surface tillage during hot, dry weather can discourage growth. * Mowing is not effective in suppressing chickweed growth; instead it can help the weed by removing the shading effect of taller species. * Use of Animals: Grazing by sheep and cows may to help to suppress common chickweed. Newly sown leys can be grazed by many wild and domestic animals. Geese and chicken are said to eat common chickweed selectively in certain crops. Composting: Use a layer of compost or cover crop residue by spreading over the soil will reduce common chickweed emergence. Some composted household waste, like leachate, can inhibit chickweed seed germination. * Flame Weeding and Soil Solarization: This method is effective for common chickweed seedlings with 2-6 leaves; the seeds are killed by soil solarization. Chickweed seedlings are very sensitive to UV-B radiation. * Use of Insects: Ground beetles consume the seeds of common chickweed. * Biological Method: The fungus Peronospora media has been used as an important agent in the natural control of common chickweed. * Pulling: Pulling can help control chickweed population, aside from removing them effectively from the soil. What Can I Use to Kill Morning Glories?